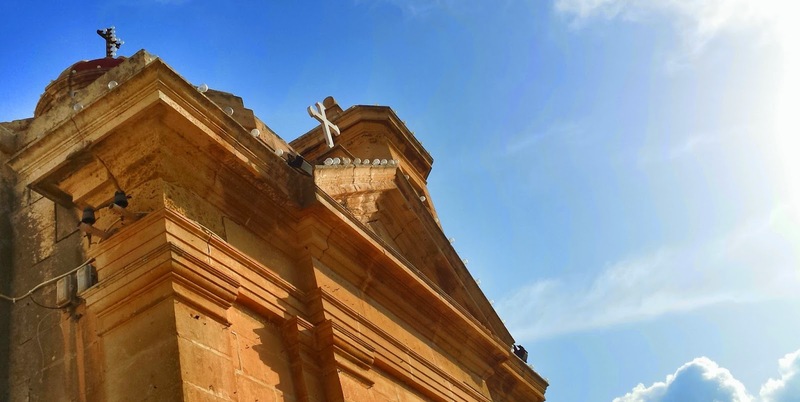 If you ever have reason to pass through the road that leads to (and from) the Gozo General Hospital, you will witness a number of uninspiring buildings - shops, warehouses and flats – the kind which could only have been built over the past few decades. If you hold your attention, however, you will also come across a small chapel surrounded by the last few surviving fields in the area. There isn’t much to look at, indeed if you blink at the wrong moment you’ll miss it, but if you do see it then you’ll instantly recognise that this tiny building has the kind of character that is so missing in its surroundings; that despite its size, figuratively it towers over its neighbouring structures. There is a reason for this and it isn’t simply because, architecturally, it is from an era where much more attention was devoted to detail and aesthetics. That reason lies in the story that brought about its construction. When an epidemic of cholera broke out in the middle of the nineteenth century, it led to widespread fear and panic. With good reason: half of the most serious cases resulted in death. Whilst the outbreak originated in the middle-east, it soon spread out to the Mediterranean arriving in Malta and, through an unfortunate sailor, in Gozo as well. For many, the fear was so great that they locked inside to avoid coming into contact with anyone who was infected. Among those who hibernated in this manner there was Felic Attard, a Gozitan businessman, and his wife Rose. Both were highly religious people and made a number of vows in the hope of avoiding this disease, one of which was building a chapel dedicated to Santa Marta. Once the worst of the epidemic had passed and the couple had safely survived, they kept their word. In 1866 the chapel was built in the area of Rabat known as l-Ghonq (the neck), a nickname that the chapel retains to this day. The location wasn’t a casual one as opposite where it is built there’s the cemetery where those who died of this disease were buried. It is a compact building, but with a belfry that contains two bells, a hexagonal shaped dome and an overall grandiose look despite its size. There is more to the chapel than looks, however, with a couple of legends adding to its colour. One tells of the chapel’s sexton who was woken up one morning by the bell tolling for church and, after looking at his watch, he found that it was already five in the morning. Fearing that he had overslept, he rushed to the chapel to assist the mass only to found that the priest celebrating the service wasn’t one that he recognised. Even so, mass proceeded as normal until the final prayers were said at which point this mysterious priest vanished leaving a startled and terrified curator to return home, check once more his clock and find that it was still two in the morning. Another tale tells of a shoemaker by the name of Toni Caruana who used to collect money to hold mass for those buried at Ta’ l-Ghonq as well as light some candles at their graves during the month of November. Caruana used to claim that on a number of occasions he witnessed a procession of souls passing through the cemetery and that he even recognised some people in it. Whatever the truth in his stories – and, in all probability, they were either caused by an overactive imagination or simply a ruse to ‘encourage’ people to give more money for the cause – to this day, a procession is held in November with prayers said for those who are buried in the cemetery..
All this is good reason for slowing down the next time you pass by this chapel. Only don’t leave it for too late, especially if you’re of an impressionable predisposition, lest you come across one of Toni Caruana’s souls. 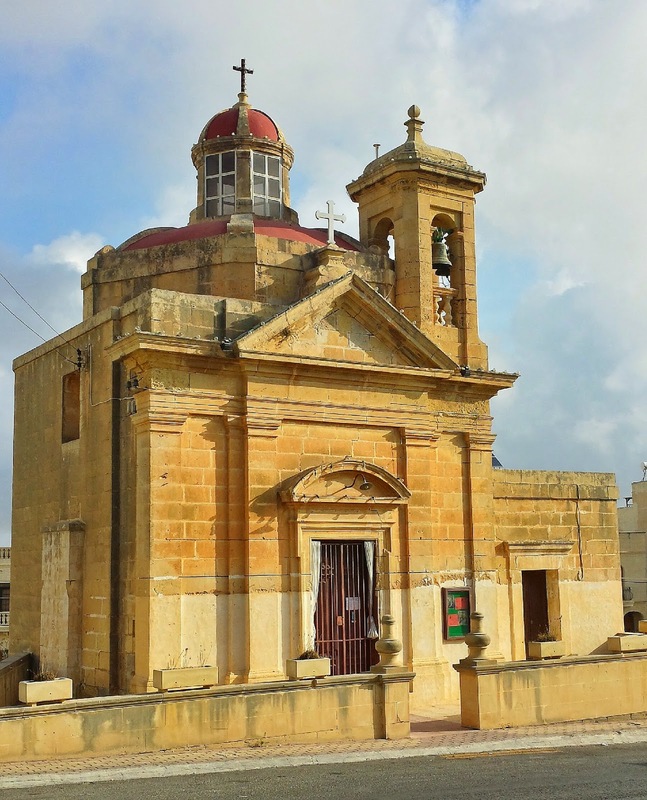 Most of the historical information about this chapel was derived from Kilin's excellent book A Hundred Wayside Chapels of Malta and Gozo. If you want to visit this chapel, it can be found here.